I love baking for the holidays. I usually choose 5 or 6 recipes for each one then narrow it down to 3 or 4 that I actually end up making. Normally I start baking about a month ahead of time and make one recipe each week until the actual holiday. This year has been a little different since we have a toddler in the house. I’ve been choosing 2 or 3 recipes and making them all on the same day. It’s easier for me to get all of the ingredients together while J is napping and then I start baking once he wakes up. He enjoys baking with me while in the infant carrier or he plays with his refrigerator magnets while I bake. I’ve been thinking a lot about what to make for Valentine’s Day this year. I knew my husband and I wouldn’t be going out like we normally do so I wanted to make a special dessert for the two of us. 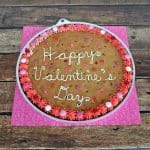 The recipes I chose for Valentine’s Day were a brownie recipe, a cake recipe, and a cookie recipe. 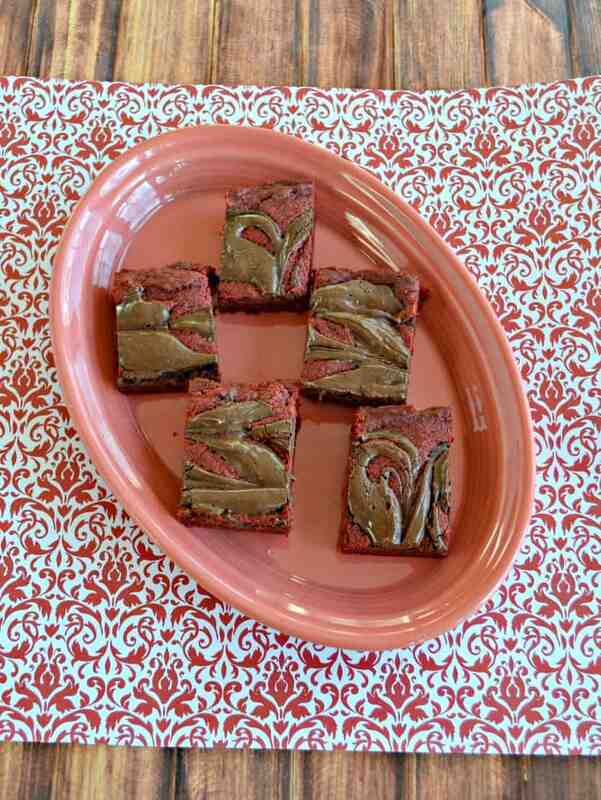 The first one I made was Red Velvet Brownies. I am pretty famous for my homemade brownies and I thought that these sounded particularly tasty. It’s basically a light chocolate brownie topped with melted chocolate all swirled together. 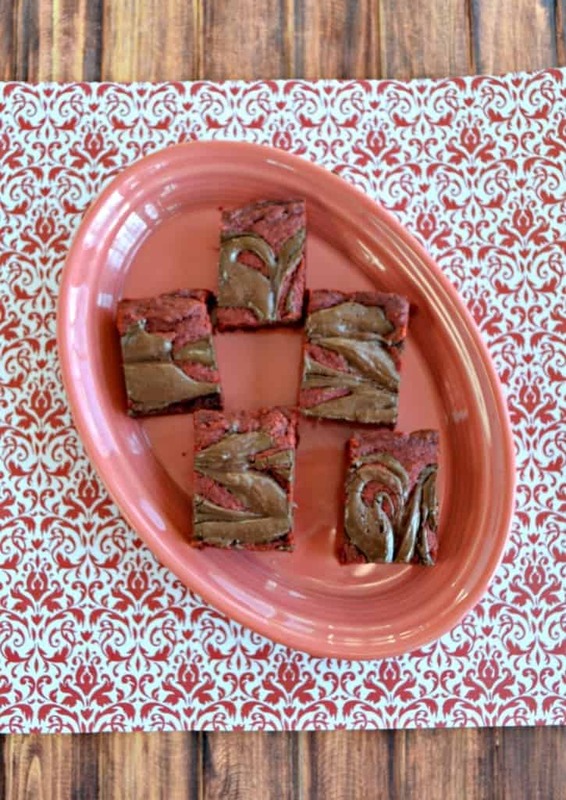 These brownies look so pretty with a fun swirl on the top. They have a full chocolate flavor that almost melts in your mouth. 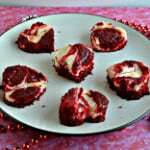 Any Valentine would love to receive a batch of these for Valentine’s Day! 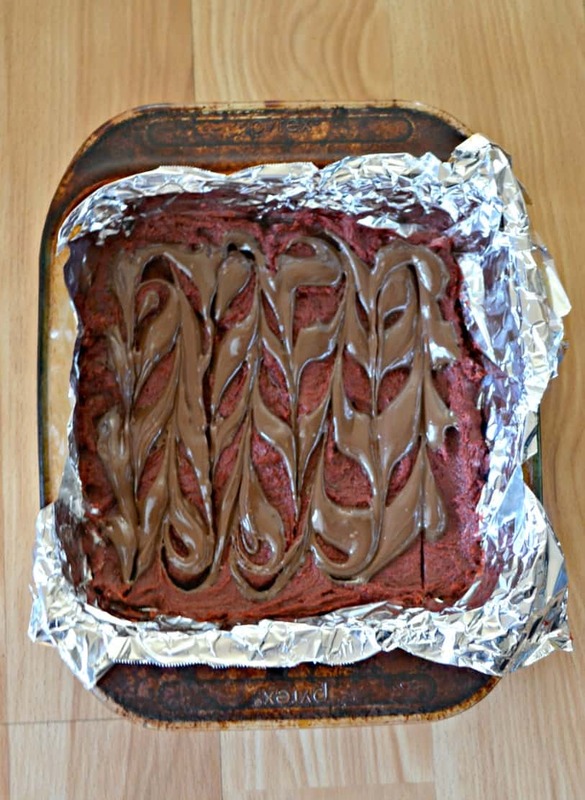 Red Velvet Brownies swirled with melted chocolate. Preheat the oven to 350 degrees. 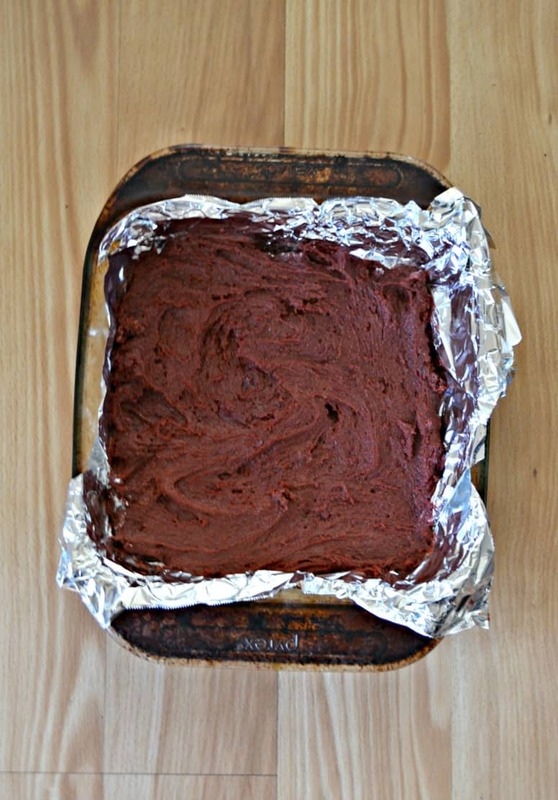 Line an 8 x 8 baking pan with foil and set aside. In a large bowl combine the butter, egg, brown sugar, and vanilla. Mix well. 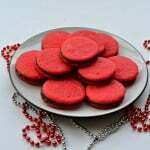 Add in enough red food coloring to turn the batter red. Melt the chocolate chips in the microwave in 30 second increments, stirring after each heating. 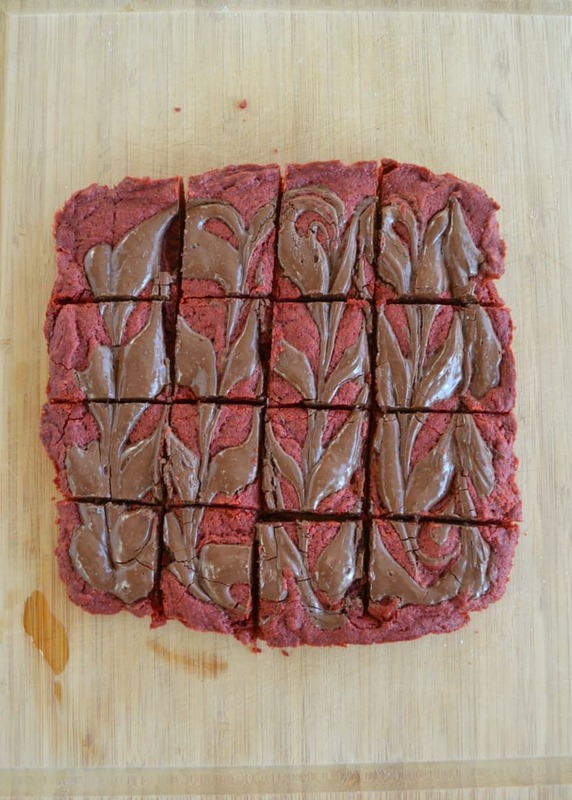 Drizzle the melted chocolate over top of the red velvet batter in 4 straight lines. Use a butter knife and swirl the batter and chocolate together. Bake for 28-30 minutes. Remove from oven and cool completely. What a neat idea! 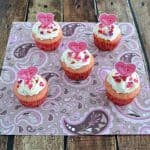 They sound delicious and perfect for your Valentine! Red velvet is such a Valentine classic. I love the swirl. I’m drooling over these. We had red velvet for our wedding cake. I see these in the oven soon! These brownies are the bomb! I love the look! I think I have some baking to do… I have a lot of friends that would enjoy these!